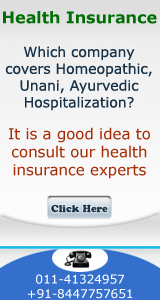 Coverage of health insurance policy in india, Mediclaim policy coverages in india, health insurance coverage, What health insurance policy covers in india? Post-Hospitalization Expenses: The medically necessary treatment ordered by a physician and readered (within a time period of the Insured person's discharge from Hospital or Day Treatment) (90 days after hospitalization in case of all type of covers). General Health and Eye Examination: Radiology, Blood Diabetes, Liver, Renal/Kidney, Cardiac Lipid, Phospholids, Lung, Abdomen, Cancer, Optometry, Slit Lamp Examination, Direct Fungus Examination, Indirect Fungus Examination, Color Vision Testing, Prescription of Glasses if necessary. Local Ambulance Services; Emergency ambulance road transportation by a licensed ambulance service to the nearest Hospital. 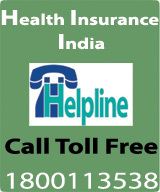 Hospital Daily Allowance: The Hospital Daily Allowance benefit is payable per day of Hospitalization in India for a limited period per person and policy period.